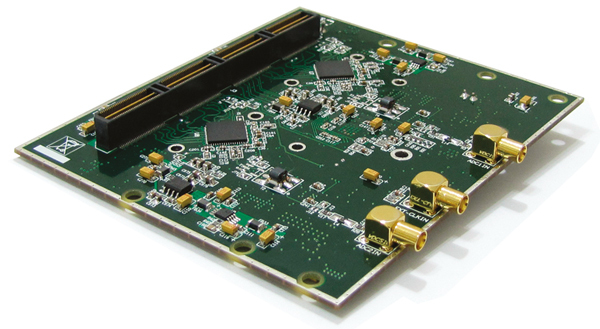 The QTH-NKS-02-A is a dual-channel 16-bit ADC at 200MSPS that enable simultaneous and high speed sensitivity. 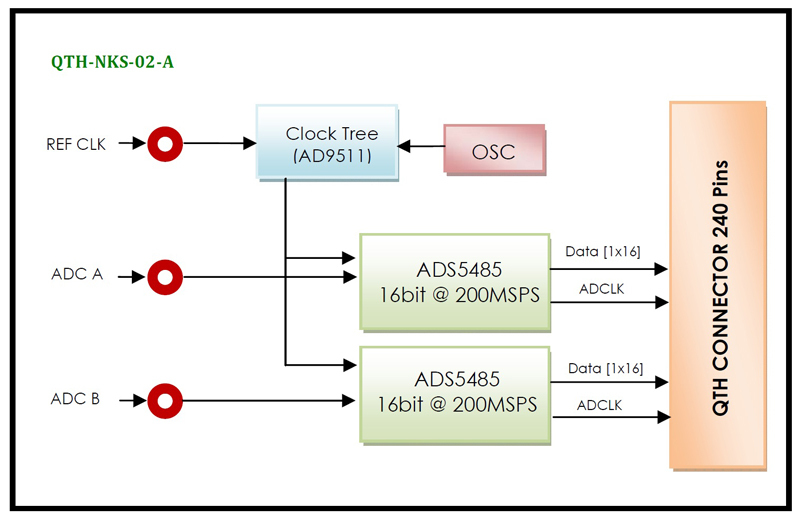 This module was designed based on one channel ADS5485 ADC of TI company with DDR LVDS outputs. 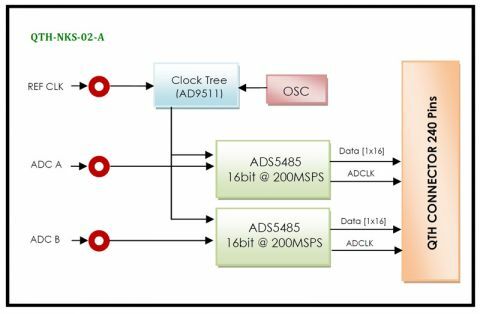 The clock sampling can be provided from an external or internal source and then send to distribution clock unit.This module can use on every carrier card which follows the QSH/QTH standard; therefore it can have the maximum data throughput and minimum latency.